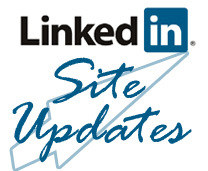 There have been a number of changes to the LinkedIn Personal profile which appear to have been rolled out across the site over the past week or so. Major? Well, to be honest not really although there have been a bit of a mixture hence the reason for looking at them within a single post rather than breaking them out individually.